This coffee is brimming with fruited notes of raspberry, blackberry, blueberry, dried tamarind and cherry, and a honeysuckle aroma. The finish has a light hint of cocoa powder as it lingers on your palate. Kayon Mountain farm is located in the southern Guji zone of Shakiso. The people are known as Gujii Oromo, and coffee farming has been a core part of the culture in the highland areas. 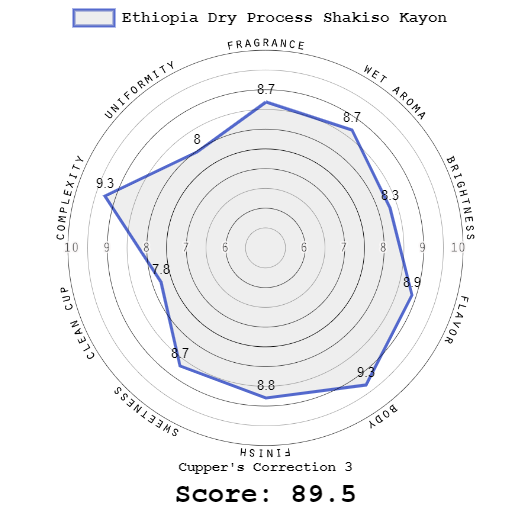 It's a distinct coffee from Yirga Cheffe, and Sidamo. Geographically, culturally, and in terms of cup flavors, these southern coffees have a different flavor profile while maintaining the same general characteristics; citrus and floral accents, a lively cup character. Kayon Mountain farm is family owned and operated. 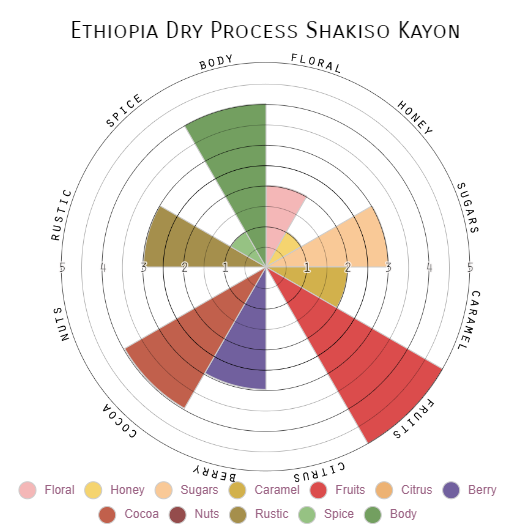 Kayon Mountain farm has built out their own wet and dry milling facilities, handling all post-harvest milling themselves, overseeing quality management, and preparation for export. These beans are naturally dry processed.